Great Ocean´s Management and personnel have accumulated decades of knowledge and experience in the most diverse fields of the local and International shipping industry, both at sea and on shore. This diversity is reflected in the multiple services we provide, always striving to attend to our customers’ needs beyond expectation. Established as recently as March 2012, and despite all adverse market conditions, Great Ocean has succeeded to be recognized as a leading provider of shipping services amongst the Brazilian and International shipping community. Our diverse portfolio has allowed us to foster a close relationship with the most varied clientele, including some of the largest and renowned corporations within their market segment. The collective capacity of our people, trustworthiness, confidence and loyalty, providing services and solutions through dedication and excellence, has created value for us and our customers. We believe in excellence being a habit, relentlessly refining the skill and knowledge of the team and individuals that work with and for us, using resources and engaging in activities that create value to them and to our customers. Our mission is to provide consistently outstanding services and solutions through dedication and excellence, in the pursuit of customer and employee satisfaction. Motivation determines what we do. Attitude determines how well we do it. Our vision is to ensure that our principals´ needs are attended to in a professional, efficient and competitive manner, making us mutually succeed in whatever endeavour we jointly pursue. By achieving this goal we aim to build a strategic partnership with a promising future and deliver returns on the investments made. As an intermediary and or subcontractor, Great Ocean has to adhere, as if being our own, to the Health, Safety, Quality, Environmental, Fair Trade, Anti Bribery, Corporate Governance, to name just few, rules and standards of all our principals, the ports we provide our services in, the ships we board, the sights we visit. The common denominator is for us to act with integrity, respect and courtesy, preventing fraudulent and corrupt activities, doing our business in a sustainable manner, minimizing, as far as commercially practicable, any adverse impact on the environment, protecting the health, safety, property and privacy of our employees, customers, business associates, community neighbours and the general public. 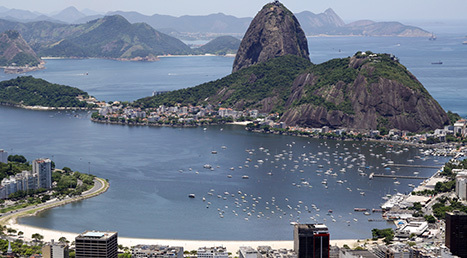 Great Ocean is headquartered in down town Rio de Janeiro, the heart of Brazil´s shipping Industry and home to some of the largest global corporations within their market segment, as well as Brazilian Federal and State authorities related to our business. 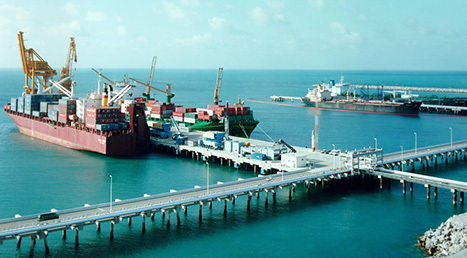 Great Ocean established a fully owned subsidiary in the port of Pecem to cater for the needs of one of the currently fastest growing industrial centres in Brazil. We are the only agency with its office in the City of Pecem, located right at the gate to the port premises and next to all local authorities. With an excess of 4,000NM from Coari, in the Amazon River, all the way to Porto Alegre, in the Lagoa dos Patos, it would be pretentious to aim for an own office in every port. Great Ocean, instead, has established a close relationship with a selected group of local Sub-Agents, able to provide our principals with the best possible and competitive service at each location. Capt. Ruben Dario Gomez V.
Brazilian Flag and Coastal Trade Solutions.